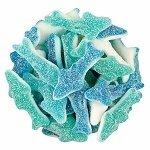 Blue Gummi Sharks include the combined flavors of cherry, lemon lime and blue raspberry. 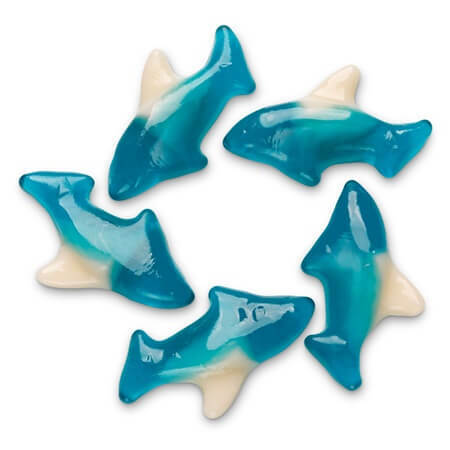 Have your guest swimming with pleasure when they savor the flavor of these deliciously shaped mammal gummies. With the blue and white colors, decorate fresh baked cakes or cupcakes for an aquarium appeal to any themed birthday party. Kids and adults alike will love sweet and delicious taste in one jaw dropping bite. When you are in charge of creating the candy buffet for the special occasions, this is an ideal candy to include in larger containers such as our clear plastic fishbowls. 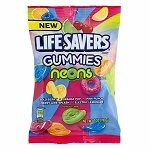 Candy stores can potentially increase impulse buying when you prepackage these gummy sharks and have them displaying at your cash registers. 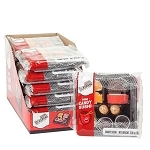 Get to planning your special occasion and include this bulk unwrapped candy. 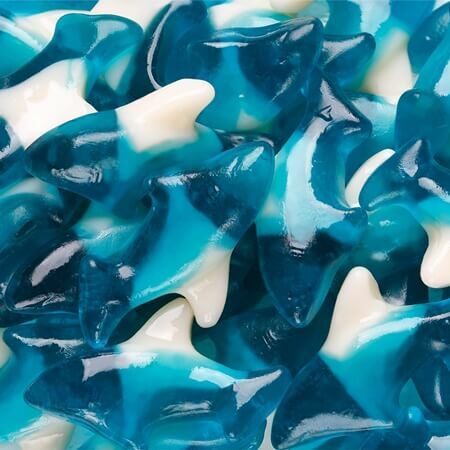 Purchase your blue shaped shark gummies today!